Myanmar's diverse forests and green landscapes which host a large variety of wildlife species, 7000 plants, 300 mammals, 360 reptiles and 1000 bird species, provide an ideal setting for nature-oriented and eco-tourism. Myanmar, originally named Burma is acknowleged as the "Golden Land" for its golden pagodas, natural resources, and various precious minerals. Myanmar is one of the most interesting countries to explore in Asia. Travel to Myanmar is a journey into a different geographic region. Myanmar is a land full of richness in nature and the diversity of species. 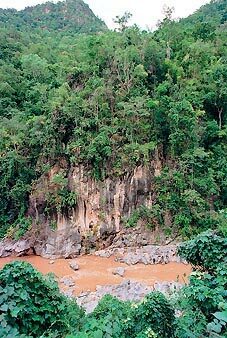 The ecosystems in this country constitute one of the biological reservoirs in Asia. The land area of Myanmar is 261,228 square miles, with a variety of natural resources, plants and animals. 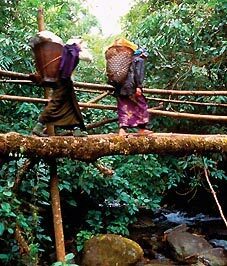 The Ministry of Forestry is responsible for maintain the forests of Myanmar. There are over 7,000 plants and over 1,000 endemic species. Also, there are about 1,000 bird species, 300 mammals, 350 reptiles are recorded. 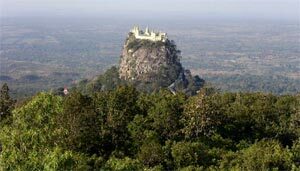 The richness of the biodiversity in nature gives Myanmar a way for Ecotourism. The general concept of ecotourism is to restrict the number of visitors within the carrying capacity of the ecotourism site. The allowable tourism level at such areas will vary with the tolerant sensitivity of the type of forests and its environment. Now there are nature reserves and wildlife centuries for ecotourism development. Contact your tour operators for detail information about the ecotourism trips. We are especially open to input from qualified people and organizations on how best to carry out responsible eco-tourism in Myanmar. We feel lucky to be involved at the beginning of our country's development of our unique environment in a way that will be of use for the people of today while preserving benefits for people of the future. It is at this time a learning process for us, and we shall endeavor to continue our efforts to learn in order to give this task its worthy stewardship.Point two, we are striving to educate others in our country and encouraging responsibility toward nature by all of our citizens. We believe that educating children on the care and use of natural areas is essential for future protection of the environment. We have instigated programs whereby we work with teachers in local schools to make students environmentally aware and to involve them in environmental programs on a personal level, such as litter clean up, birding forays, and nature lectures. Myanmar has some of the most beautiful and diverse landscapes in the world: pristine beaches, majestic mountains, thick-timbered forests, expansive plains, multiple rivers and lakes, rich delta regions.Within each of these environments is a thriving community of flora and fauna. Until recent population encroachment - a worldwide problem - these areas have been essentially undisturbed. It is our hope to promote a responsible program for the protection of Myanmar natural areas for tomorrow while managing necessary use of the resources today. This management includes the availability of natural areas for eco-tourists. While we are a recent newcomer on the world eco-tourism scene, a group of dedicated men and women in Myanmar are committed to the proper development of our country's ecotourism industry. Major tour operators feel that the holiday tourists are inclined to demand increasingly more perfect environment without any extra cost for it. Greater number of new generation tourists are not attracted by these green displays any more. What has become crucial today for the Myanmar tourist industry is to impart serious attention in carefully planning and implementing Myanmar Eco-tourism. This is essential to sustain it to be of long-term benefit to our nature and the host community of the respective local areas.